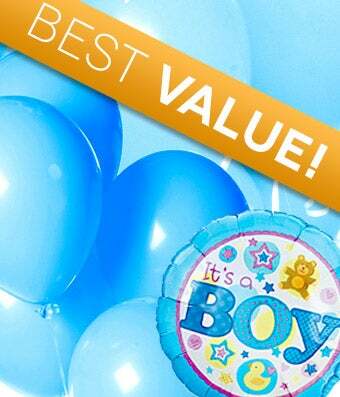 Send a unique balloon bouquet today to celebrate the birth of a baby boy. Arranged with 3 mylar balloons and 5 blue latex balloons, this gift is sure to light of the faces of the new parents. Same day balloon delivery available at From You Flowers.